There’s a reason Parksville is known as Canada’s Riviera. 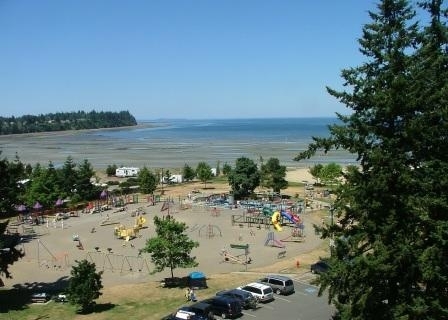 Few beaches outside Mexico and the Caribbean compare with our kilometres of near perfect sandy beaches at Parksville Bay and Rathtrevor Beach Provincial Park. With long sunny days, water temperatures may be as high as 20°C in the shallows and the flat beaches are safe for everyone in the family, even at high tide. Beach access points are provided for the benefit of residents and the City’s many visitors. The most prominent is from the Community Park, a beachfront park of 15.7 hectares (39 acres). Other official access points are located at the ends of Doehle Street, Sutherland Crescent, McMillan Street and Rushton Avenue.